I'm not much of a gardener, but I do love to grow a few herbs and vegies in the backyard. Without much effort at all the patch is flourishing at the moment. 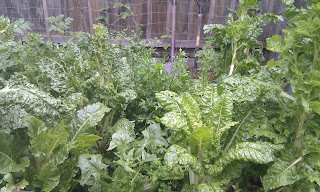 I have been delighted with how easy it has been to grow leafy green vegies. 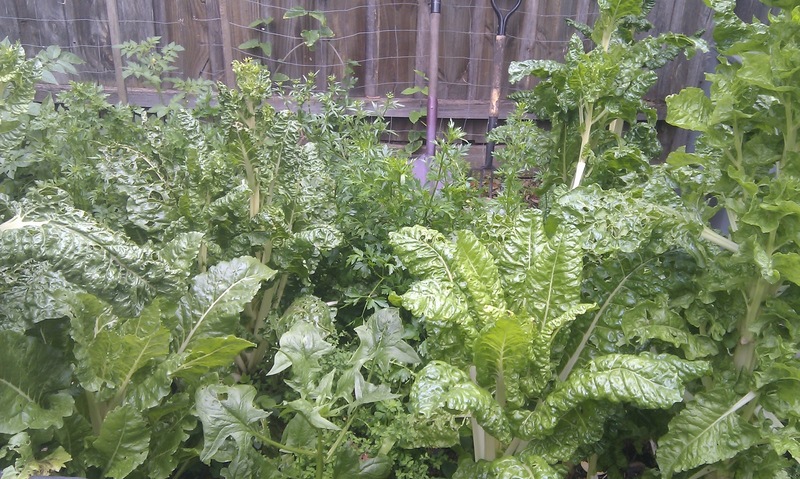 They don't require much attention, and silverbeet and parsley in particular, just keep giving and giving. Eating more green leafy veg is one of the most basic and simple things you can do for your health. It makes it so much easier to achieve this when you can pick handfuls from your own backyard. Adding a chopped handful of green leaves to any dish, or sprinkling on handfuls of chopped parsley, will give a nutritional boost to any meal. There is something comforting in knowing that even if the fridge is bare of vegetables, a healthy meal can still be had from a trip to the backyard. Plastics - Harmful to our health?